Whether it’s a breakfast pizza that Farmer and Sons have just launched on their new breakfast menu, between meals as a snack, for lunch or dinner, no one can say no to pizza at any time of the day. 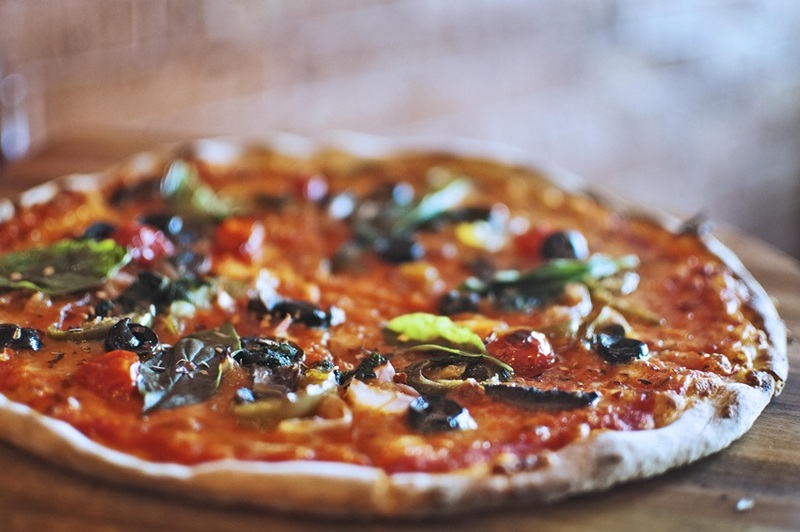 Here’s our list of some of the best pizzas in Mumbai. 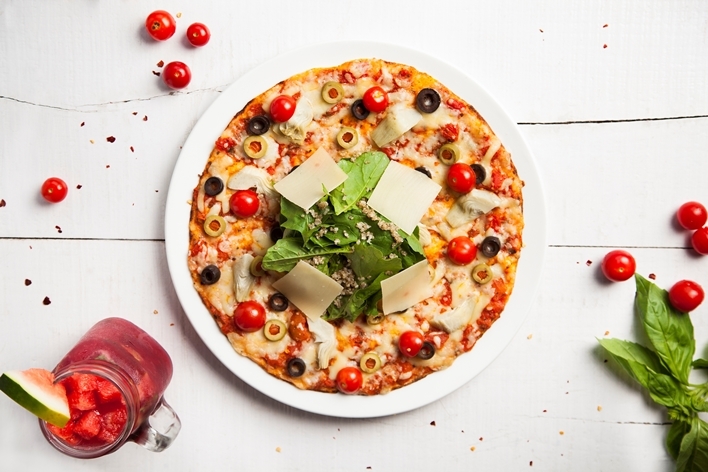 You get to make your own pizzas at 1441 Pizzeria, a cosy little place in the northern suburbs of Mumbai, which offers a vast selection of vegetarian and non-vegetarian toppings. Go all out with the gourmet pizza with unlimited toppings and DIY your way through toppings like salami, pesto chicken, creamy buffalo cheese, mozzarella, and a whole lot of veggies with the house-made sauce. Not one to crimp on the toppings, you may want to be careful when ordering sides here. This pizza has never let us down and we’ve got the chefs at Indigo Deli to thank for its consistency. Fresh pesto, soft mozzarello and bits of juicy tomato on the wafer-thin crust of this pizza has disappeared in seconds along with our cheerless disposition, every single time. Chef Giulio Adriani is the god of all pizzas and if it weren’t for him, we wouldn’t go back to Gustoso (Pizza Metro Pizza earlier) again and again. 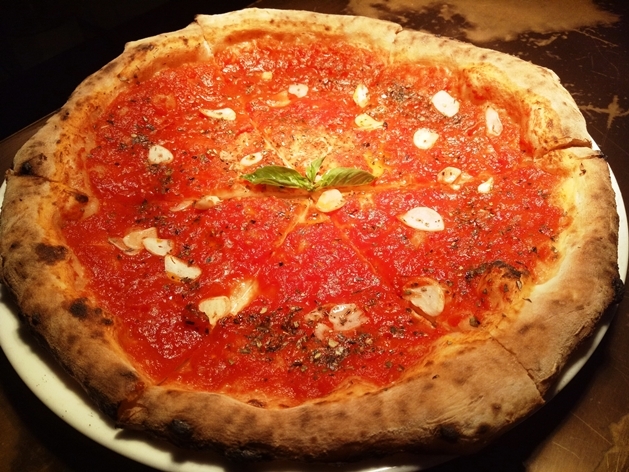 Gustoso specializes in rustic Italian pizzas served Neapolitan style. This means, eat the pizza as soon as it arrives at your table instead of foolishly clicking away on your phone. In a few seconds, the crust goes soft, but the pizza remains sumptuous as ever. We love the Marinara here: a melody of simple but elegant flavours from the signature tomato sauce, Sicilian oregano, roasted garlic slices and olive oil, this pizza is Gustoso’s cooking at its finest. A perfect mix of Italian and Mexican cuisines, the Notorious Nachos Pizza has found several loyalists, despite being added to the menu only recently. Carnivores can opt for the Pollo version with refried beans, fire toasted Salsa sauce, fajita spiced chicken, jalapenos, and sour cream (for vegetarians, the toppings remain the same, minus the chicken, of course). Creamy, crunchy and loaded with flavour, the surprise element on this pizza are the bits of nacho chips that add a rather unique texture and bite. Despite the fact that this pizza is vegetarian, the Indiano Rustica will find favour with meat-lovers as well. This 14-inch pizza comes with a special house-spiced sauce and features toppings like onion, tomato, capsicum and tangy paneer with a host of special Indian spices for added flavour. The pizza is also a part of a special Pizza Trail festival at CPK (until October 15) which includes a host of handcrafted pizzas. If your definition of a pizza is a nice crust with loads of cheese, then these new additions to Pizza Express’ menu won’t disappoint. 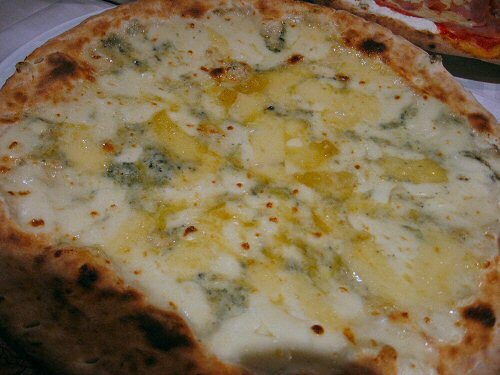 Formagi 65 from their Classic menu comes in a thick crust version topped with mozzarella, creamy buffalo mozzarella and a nutty grana cheese and is all kinds of decadent. The menu at 212 All Day Cafe & Bar focuses on hearty, comfort food while the contemporary décor and al fresco area make for a charming place to grab a bite. For pizza lovers (and vegetarians), the Spicy House Special comes highly recommended. Made in a stone-hearth, this thin-crust flatbread pizza is with onion, capsicum, mushroom, American corn, jalapenos and chilli. It’s got crunch, flavour and enough spice to have most people tearing up. And for those looking to make their pizza a notch healthier, ask for a wholewheat flatbread. Vintage chandeliers set the mood for a cosy meal in the dining room at Terrttulia in Shivaji Park. 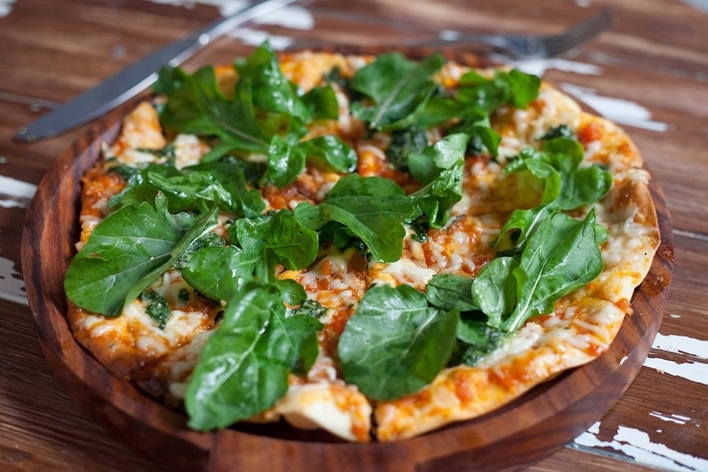 The Pizza Terttulia-aah has an extremely well-made thin crust and is topped with spinach, tossed rocula leaves, creamy scarmoza and parmigiano cheese with a generous drizzle of olive oil. And if you happen to be in the area on a Sunday, do not miss the Sunday Special Sangria to go along with your pizza. The décor at this Andheri pizzeria is fuss-free and the menu is extensive featuring classic Italian pizzas with an Indian twist. If you’re looking for a pizza that’s pocket-friendly but comes stuffed with all things nice, opt for the Meat Ultimo. It has sausage, roast chicken, bacon and an unholy amount of cheese to bring about that blissful foodcoma. As one of the oldest pizzerias in the city with 24 outlets, most of us have fond childhood memories of the pizzas served here. The menu experiments with Italian, Chinese and Indian styles to create a few winners that are wholesome, comforting and extremely filling. Butter Chicken Pizza, for example, has been a longtime favourite – the chicken is cooked in a creamy makhani sauce and is garnished with coriander. It may not seem like the most decadent of combinations, but trust us, it comes together beautifully and will have you craving for a slice or two in a few weeks.